Simple stir-fried broccoli with the flavours of garlic and herbs is a perfect side dish to be served with grilled meats or sea food. To retain the fresh green colour just add a tiny pinch of baking soda to the water along with the salt while parboiling it. Take care to keep it crunchy and not overcook the broccoli. 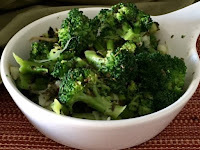 Boil the broccoli florets with little salt and a pinch of baking soda just for one or two boils. Drain the water and immerse it in cold water. Set aside. In a pan add olive oil or any cooking oil. Saute the garlic to a light brown colour. Tip in the broccoli florets. Season with salt, pepper, herbs and finely chopped spring onion. Stir it a couple of times and it is ready to serve. 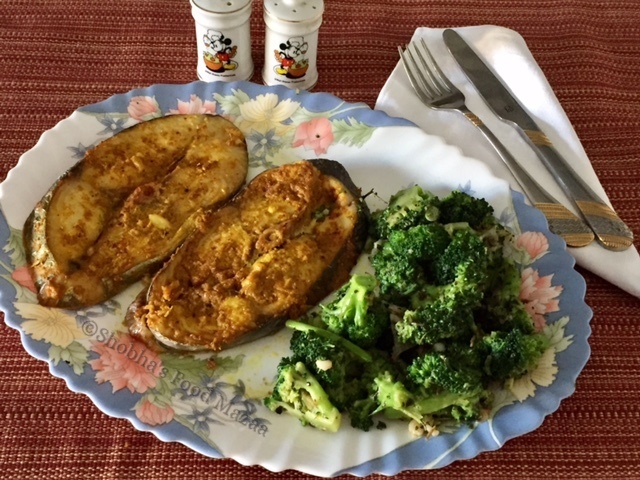 Shobha - It's great to see all these new European recipes on your blog. 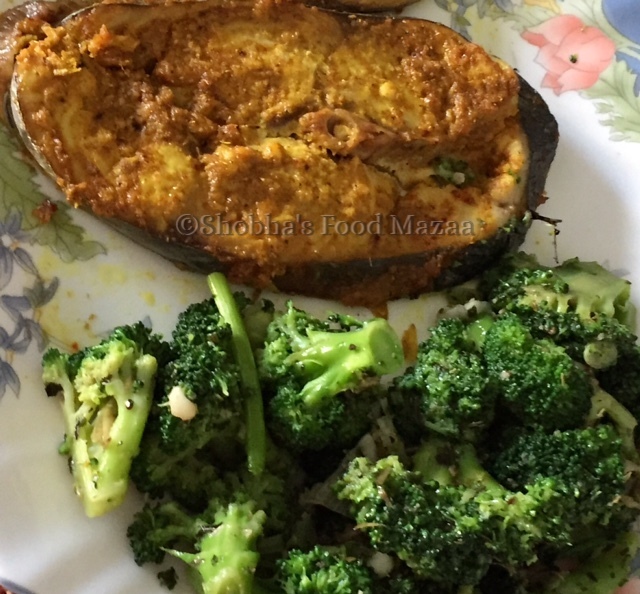 Recently a friend of mine served khichedi topped with stir fried broccoli with garlic and it made a delicious combination. Yes even I add it to khichdi and bissibella bhath sometimes. Thanks for the compliment on my blog. 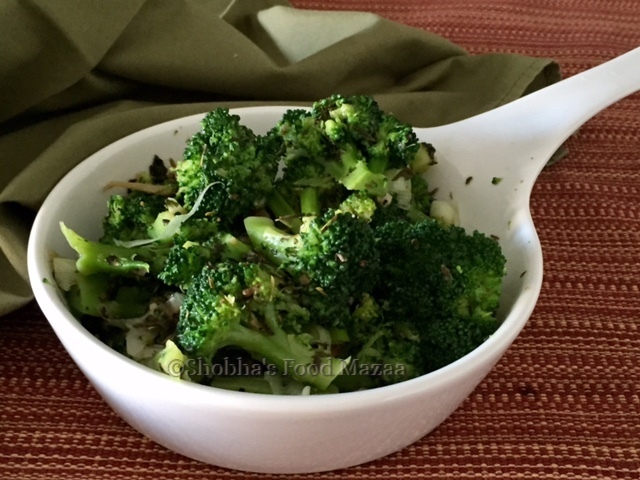 Yummy stir fried broccoli. There is a Chinese restaurant here which serves stir fried broccoli with snow peas and garlic... simple and so delicious. Ok.. we don't get snow peas in India. I used to cook it a lot in Brazil. Our local Chinese restaurant serves this and I always order it. Its so simple to make at home and tastes great. Your recipe is easy enough to follow. Thanks Nayna.. this is a simple recipe and really I love it too. The garlick flavour is awesome.